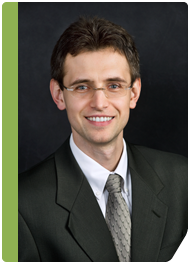 Poplar Healthcare » Radek F. Bieniek, M.D. Dr. Bieniek received his medical education at the New Jersey Medical School in Newark, New Jersey. He then continued his training at Beth Israel Deaconess Medical Center, a teaching hospital of Harvard Medical School, as a resident in anatomic and clinical pathology. He completed his fellowship in dermatopathology at the University of Tennessee in Memphis under the direction of Drs. Andrzej Slominski, Barry Randall and Thomas Chesney. Dr. Bieniek has published in numerous journals including the British Journal of Dermatology, Cancer Research, American Journal of Physiology and Laboratory Medicine. Dr. Bieniek is a member of the United States and Canadian Academy of Pathology, Pan-American Society of Pigmented Cell Research and College of American Pathologists.